To honor St. Patrick’s Day on Sunday morning, Prince William and his wife, Duchess Kate made their annual visit to the 1st Battalion in Hounslow, west London. The Duchess paid tribute by wearing the appropriate colors. She wore an emerald green coat and a matching hat as she went about her Royal duties which included having a pint of beer. 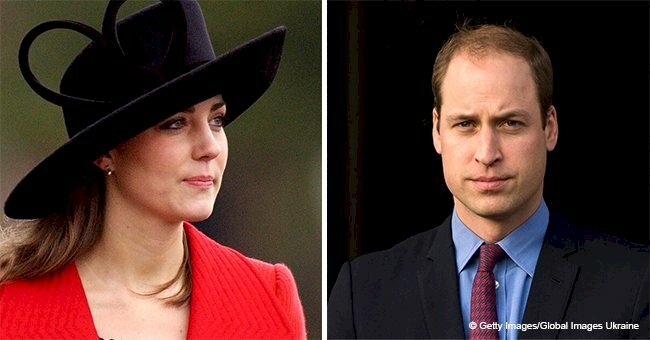 Prince William and Duchess Kate toasted St. Patrick's Day by drinking individual glasses of Guinness. The toast came after the couple watched a traditional parade of around 350 Irish Guards on the Parade Square at Cavalry Barracks. Since 2011, William has been a colonel of the regiment. His wife wore an emerald green coat from Alexander McQueen with a matching Lock & Co. fascinator to pay tribute to the special day. She completed her look by adding Gianvito Rossi's “Piper” suede heels and gloves. 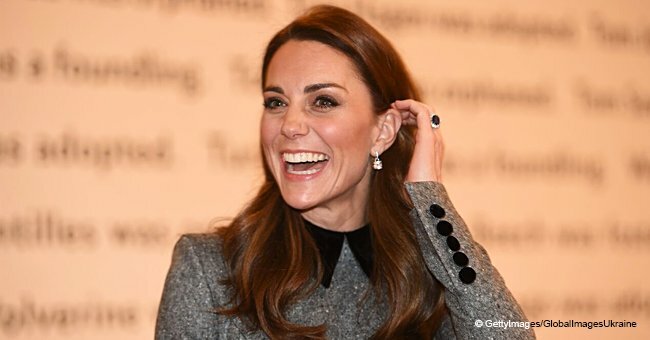 Kate accessorized with a pair of special edition green amethyst and green tourmaline earrings from Kiki McDonough. The Royal also added a shamrock pendant to her left shoulder. The brooch is a Royal heirloom by Cartier and it previously belonged to Elizabeth the Queen Mother. Her husband looked dashing in his Irish Guards Frock Coat. During their visit, Kate presented sprigs of shamrock to officers and warrant officers, before they marched past her husband who took the salute. The more than a century-long tradition saw the couple being toasted by the longest-serving Guardsman at the Guardsman's Lunch. 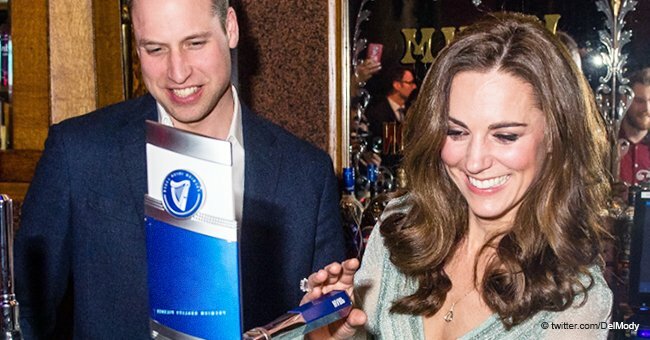 Kate was also formally thanked for presenting the shamrock. At the Cavalry Barracks, the Royal couple led a minute's silence to pay respects to the New Zealand terror attack victims. The minute of silence was observed by the Irish Guards and their families. The procession was led by an Irish wolfhound and mascot Domhnall. Kate received posies of flowers by Jemima, 6, and her sister Athene, 3. 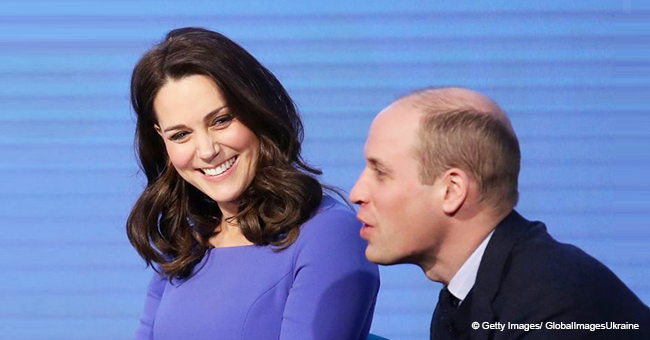 The Duchess crouched down to speak to the siblings before waving goodbye to them. She then spent some time with their baby brother, Rory, 12-weeks-old. The regiment was first founded in 1901by order of Queen Victoria. Since then, the tradition has been presided over by a woman, except in 1950, when King George VI presented the shamrocks to mark the regiment’s 50 anniversary. The shamrock's three heart-shaped leaves represent Ireland and the Holy Trinity. Every year, on St Patrick’s Day it is given to the Irish Guards who fight and die in the British Armed Forces. During the war, the shamrock is shipped out to them to be tucked into their Kevlar helmets. For those at home, the ultimate honor is to have it presented by a senior female member of the Royal family. 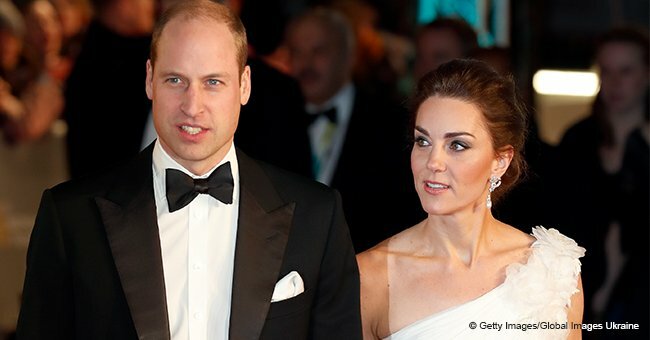 Last Monday, the Royal couple joined the rest of the Royal family for the Commonwealth Service at Westminster Abbey. For that occasion, Kate recycled her fitted Catherine Walker military coat and paired it with a matching hat.